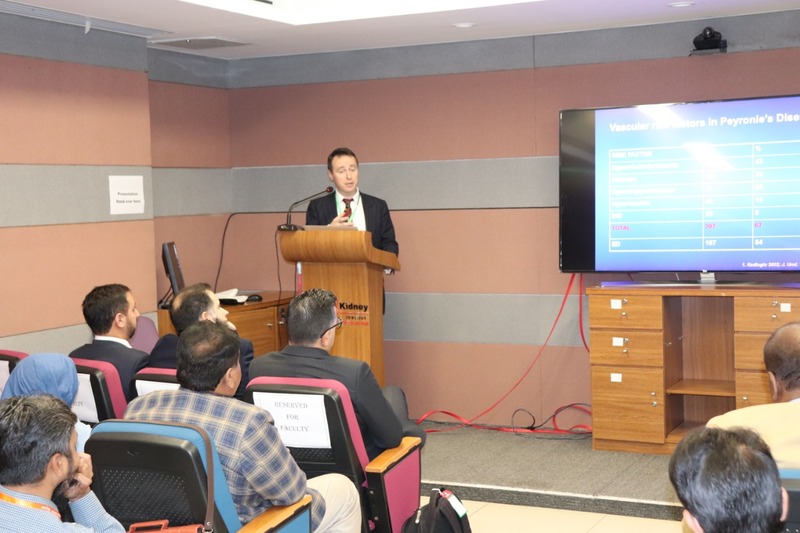 Tabba Kidney Institute organized another two days International Master Class on men’s health “Andrology Nuts & Bolts Male Infertility“ from 25th to 26th February 2019 in collaboration with faculty from Kings College Hospital, London United Kingdom and Harley Street hospital, United Kingdom, held at Tabba Kidney Institute Karachi. The international faculty and trainers from the United Kingdom participated and covered comprehensive program dealing with male infertility & male sexual health disorders. The event has provided tremendous learning opportunities for young urologists. 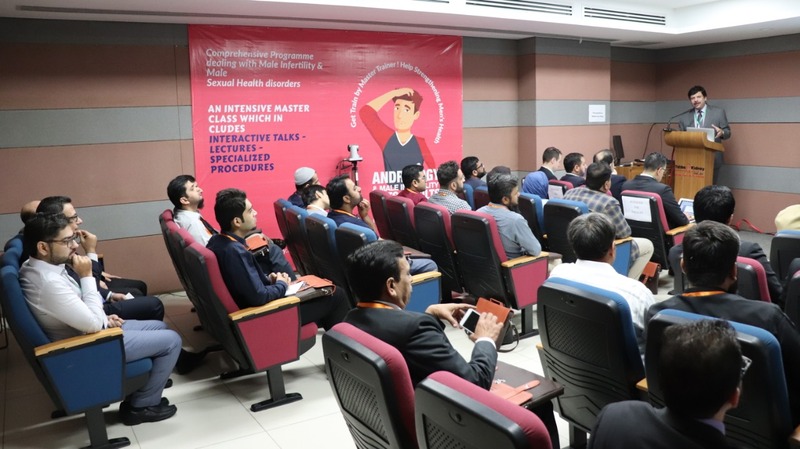 The master class consisted of multiple learning platforms including lectures and case-based discussions by 6 invited international and national speakers. This is one of a kind Urology training sessions that held in the heart of Pakistan. More than 50 urologists registered to attend this male infertility master class from all over the country. Male infertility usually affects men of age 50 years. It may affect physical and psychological health. The male infertility cases from the record of 2015 doubled in the current year, especially in Asia. It is recorded 113 million cases of erectile dysfunction in Asia, for that Tabba Kidney Institute leading in providing quality academics in the country particularly to the young consultant and trainer in the field of Urology, teaching, learning, research, and community engagement for controlling these diseases and natural dysfunctions.